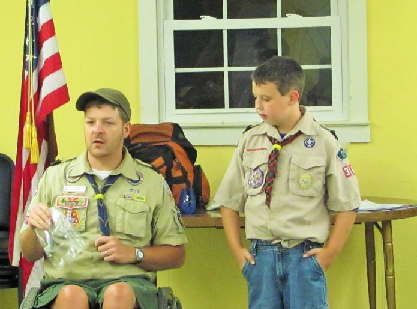 Cub Scout Toby Porter's Quest for Achievement Award! 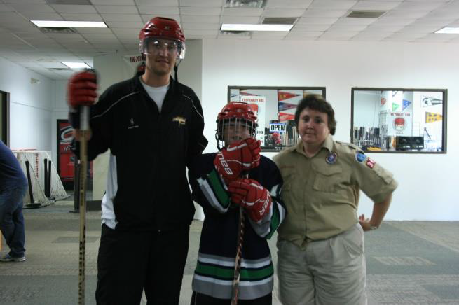 In July 2013, the Lightning organization was contacted by a mom in Wilkes County NC, inquiring about whether her 10 year-old son Toby, could get involved with the Carolinafor his Cub Scout Sports Achievement Award. There are 54 belt loops to earn his Achievement Award and Toby only had 6 loops to earn when his mom Amanda contacted us. 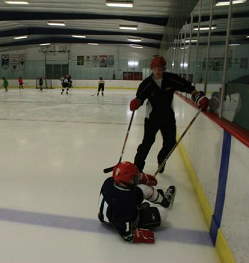 Hockey was one of the hardest loops to find help with. Toby had to study the sport of hockey, how to play, the rink, the zamboni. 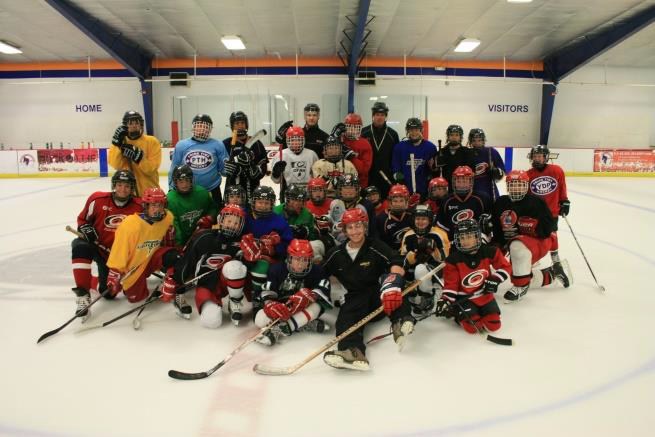 Wilkes County is in the mountains of North Carolina, 21/2 hours west of Raleigh and on July 22, 2013, Toby and his mom traveled to RCI, and with the gracious help of RCI staff and Lightning players and parents we fitted Toby into rental skates, and borrowed helmet, stick, jersey, and all other necessary equipment. Toby with his mom, Amanda Porter and Derek Schaap. 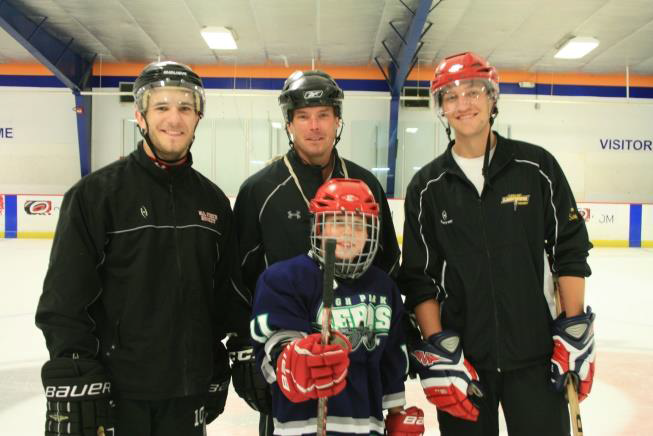 Toby skated with Coaches Marc Genest, Derek Schaap and Tom Stryker during the Lightning player development sessions. 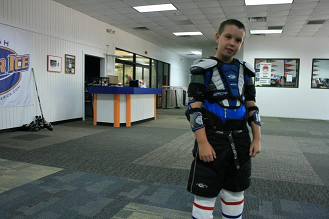 This was the very first time Toby ever set foot on an ice rink but was bound and determined to skate and to succeed in getting his hockey belt loop. On the Ice... On Two sakes! ... and on two skates!! “Thank you for the pictures. We are proud to say we met and worked with all of you. Please let everyone know we are grateful for everything you did for us. Toby is still talking about his experience.”- Amanda Porter. We are very pleased to have met Toby and his mom Amanda, and we are very proud to announce that our friend Toby Porter successfully completed his hockey belt loop and is now one step closer to completing all 54 belt loops and his Cub Scout Sports Achievement Award.